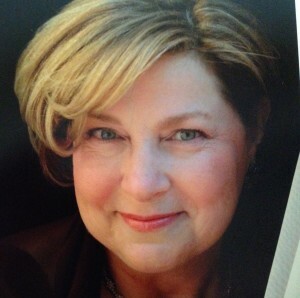 Carole P. Roman is offering ten of our readers their own copy of Captain No Beard, a value of $10 x 10 (combined total ARV $100). 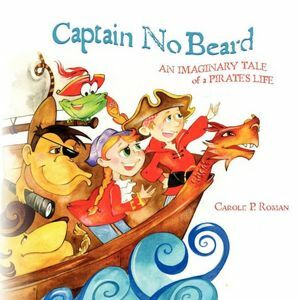 Captain No Beard, by Carole P. Roman, is a delightful tale of a young boy on an adventure of his life. Alexander, the pirate captain extraordinaire, and his cousin and first mate, Hallie, are joined by a menagerie of a crew: Mongo, the “mast-climbing monkey,” Linus, the “loud-mouthed lion,” and Fribbit, the “floppy frog.” Together they travel on their ship called the Flying Dragon, whose name was chosen for its fear-inducing qualities. Alexander expects a lot from his crew, but when Hallie asks a question and points out that she won’t know an answer unless she asks, he digs down and pulls out his trusty pirate dictionary to find out. This captain business is hard work. When a storm rolls in, the crew must work together to save themselves from falling overboard. Avoiding possible catastrophe, the calm after the storm brings a voice from below. Hallie deduces that the voice must be from a mermaid, and the crew proceeds cautiously. Appearing on the deck of the Flying Dragon, the mermaid comes prepared, with a treasure of golden doubloon cookies and a sense of humor that all parents need. Roman’s book is a full color picture book suitable for children of all ages. The pictures are large and bright, bringing a wonderful visual to the engaging story. I read this story with my four children, ages 10, 8, 5, and 2 1/2, and I have to say we were all engaged. Pirate lingo provides plenty of opportunity for audience participation! Captain No Beard has a deeper message to its older audience. As Alexander often exclaims, “Being a captain is hard work!” The book reminds us that our children, engrossed in fantasy and pretend games are also hard at work every day, learning through play. So gather your family, and prepare to drawl some pirate lingo. A word to the wise, though? Limit your pirate voice and don’t attempt to read the entire book as a pirate. It left my throat raw and when the cheers of “Let’s read it again!” rang out, I needed a tea break. You can purchase your own Captain No Beard at Barnes and Noble, Amazon, or Create Space. The book sells for approximately $10 and shipping ranges by site. Carole has another children’s book coming out soon in which yoga is incorporated into every day life: I Want to Do Yoga, Too Other adventures of Captain No Beard are also in the works. To stay connected with updates, Like her page on Facebook. 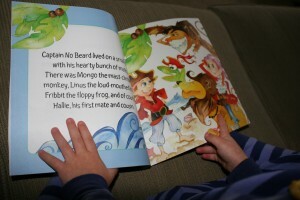 Ten winners will receive a copy of Captain No Beard. Contest is open WORLDWIDE. 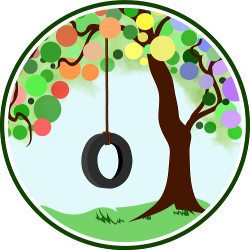 MANDATORY ENTRY: Tell us about some of your children’s imaginary adventures or how they remind you to enjoy each day! Contest closes November 24 at 11:59 p.m. Eastern Time. Every night, my oldest boy asks me what my favourite part of the day was. It’s a great reminder to look for the best in each day! My son has a big box he uses as a boat, a goal, a rocketship. It remimds me that things aren’t alwaysas they appear. This book just came in the mail the other day – no need to enter to win another, but I would like to say how much fun this book is! It does not disappoint. 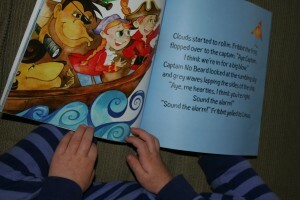 My 9-month old loves all the bright colours in the illustrations and I get to polish off my best pirate accent! My kids remind me to slow down and enjoy the simple joys. My daughter is still pretty young, so her imagination isn’t too obvious to me yet. Since we’re still breastfeeding, I’m forced to slow down, sit, and visit with her multiple times per day! My twins are always acting out scenes with their powerpuff girls dolls. My son is just starting to “pretend.” (He’s 2 1/2) My favorite thing is he is starting to pretend he is someone/thing else, like a dragon. He’ll say “no mom,I’m not a boy, I’m a dragon.” I’ll ask him what color. He’ll say, “Blue….no…GREEN!! !” It’s not too complex, but it’s fun to watch him start this process.